Why Should You Buy Your Engagement Ring On Fred Meyer Jewelers In 175 Words? Keeping the negatives aside, why should you buy from the veteran diamond merchant Fred Meyer? Exclusive Ring Settings for Wedding and Engagement: Exclusive format for selecting the best fitting ring online with the help of customized selections in Shape, Detail, Carat Weight, Metal Type, Size, Style and Budget. Unlimited Un-mounted diamonds in endless shapes and sizes: The star attraction of Fred Meyer Jewelers is their abundance of un-mounted diamonds, which are oddly 15,000! Wide variety of diamond engagement rings: Based on birthstone to Forever Ideal Diamond Collection, there are a wide variety of diamond engagement rings to choose from when shopping with Fred Meyer. Lifetime Jewelry Care Plan: Includes lifetime guarantee of Polishing & Repairing, Sizing, Prong Re-Tipping, Pearl Restringing, Damaged Mountings and many other Manufacturing defects. Amazing Return, replacement and Refunds: Easy Returns at the nearest store with a 100% refund when submitted within 60 days! Free 2-Day shipping: Fred Meyers has a unique policy of providing free shipping for orders less than $100 with two days delivery! Why Shouldn’t You Buy Your Engagement Ring On Fred Meyer Jewelers In 141 Words? Online diamond sellers have a hard time completing the orders without glitches. However, some have genuine reasons for the accidents occurred, while others are sloppy or rude when caught red-handed. You should not buy from Fred Meyer Jewelers because they are REALLY EXPENSIVE on diamond engagement rings, do not provide refunds for PayPal purchases and mandatory needs the customer signature upon delivery. Many customers have also vouched that often, the quality of the material has been compromised due to incompetent work. Unfortunately, we noticed a handful of verified customers who complained of total summery mistakes. Nevertheless, in all case, the vendor has apologized and compensated the customer. If you decide to cancel or modify the order a second post your confirmation, you will first have to receive the wrong purchase and then manually return it at the closest Fred Meyer store. Fred Meyer Jewelers is a national chain of jewelers. It is a wholly owned subsidiary of Fred Meyer. Started in 1973 by Fred G Meyers, Fred Meyer Jewelers was ranked among Nation’s top 5 diamond engagement rings stores. With over 300 Stores stretched far and wide around the States, Fred Meyers is a highly sought after the diamond seller. Currently, the store functions under the titles Littman Jewelers and Fred Meyer Jewelers. Apart from hundreds and thousands of diverse stones in all shades and settings, Fred Meyer diamond vendors have a unique variety of packages such that customer satisfaction is guaranteed. They have a Lifetime Jewelry care plan as well as three Specific Guarantees- Manufacturing, Satisfaction, Trade-In and Mounting as well as for Loss and Damage. 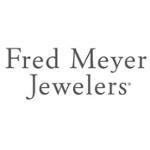 Additionally, Fred Meyer Jewelers also has multiple shipping options including Fed Ex express delivery ($12.95- overnight), 2-Day Free Shipping (for purchases under $99- $5.95 per order) and Saturday Delivery ($19.895). Fred Meyer Jewelers has an endless collection of ideal diamond rings for the wedding as well as engagement jewelry that will make you want to design your own engagement ring with Fred Meyer experts. The online educational part is hassle free to use and offers a wide variety of selection criteria highlighting the 4 C’s of all diamonds appropriately. Fred For enhanced online purchases, customers can even track the shipment once ordered online. The website also offers multiple payments options for its customers including exclusive Fred Meyer Membership Card purchases. According to us, Fred Meyer is an expert diamond vendor with learned employees willing to go an extra mile for the customer satisfaction. According to Better Business Bureau, Fred Meyer Jeweler is rated A+, however is not accredited by BBB. Nevertheless, out of 78 complaints registered on BBB, Fred Meyer Jewelers have closed 38 in the past three years. Is Fred Meyer Jewelers a Fraud? No! Don’t let many of the complaints confuse you with the facts. Being not accredited by BBB does not make Fred Meyer a fraudulent diamond geezer. In fact, having the reputation of being a trustworthy and hallmark diamond merchant, Fred Meyer Jeweler is nation’s third best diamond seller, online and offline! Our expert staff, in aspects of legal, customer-ratings and loyalty to facts has examined Fred Meyer Jewelers online portal and has inferred that the business is legitimate to all degrees. We believe that Fred Meyer online diamond portal is safe to use and trustworthy apart from being stellar with the endless rare diamonds sparkling onscreen. You should pay a visit here for sure! The official website of Fred Meyer is effortless to use, provides easy navigation throughout the site to find unique and appealing designs to suit whichever taste you have. We liked very much to hang out and see all the beautiful options! With 15,000+ un-mounted center stones and decades of expertise being the mark of dreamy weddings and everlasting bonds, Fred Meyer has the country’s best top-rated collection of engagement rings and jewelry to choose from. The website does not provide a Live Chat feature; however you can request to contact the Fred Meyer Jewelers by clicking on the Contact Us Tab, located at the bottom of the website page. In our experience, the Fred Meyer staff replied within 26 hours of sending the request form. Multiple Payment methods like Platinum Preferred Credit Card, Fred Meyer Jewelers Credit Card and Gold Preferred Credit Card are offered when you confirm a purchase through Fred Meyer online portal. All Fred Meyer diamonds are covered under Lifetime Jewelry Care plan as well as Guarantee of Satisfaction, artisan-ship as well as Loss and damage. In addition, this geezer also provides multiple shipping options such as overnight express shipping and even 2-Day free shipping options such that popping the question is truly insured when you shop with Fred Meyer! Fred Meyers provides 60 days full refund and replacement for all customers. The company provides no free returns and the customer must bear the shipping costs when doing the same. Cancellation of the order is not free; however, you can contact a local store and return the same manually if it is within 60 days of purchase.